The biggest cleantech news of last week hit the wires late afternoon on Friday: Solar thermal developer BrightSource Energy filed for a $250 million IPO. The company, founded in 2006, had long been rumored to IPO, and had just closed on an important round of funding for its inaugural solar project from Google (s GOOG). Current Power Purchase Agreements. BrightSource has 14 power purchase agreements (PPAs), with two utilities — PG&E and SCE — that equal 2.6 GW of total solar power. BrightSource says the pipeline is a “$4 billion of revenue opportunity for us through sales of our systems.” In addition, BrightSource says it has 110,000 acres of land for its development portfolio, which could produce 11 GW. Revenues/Losses. BrightSource generated $13.50 million revenues in 2010, up slightly from $11.57 million in revenues for 2009. At the same time, BrightSource lost $71.63 million for 2010, and $43.78 million in 2009. BrightSource has incurred losses of $177.3 million from the founding of the company to the end of 2010. Ivanpah. BrightSource’s first flagship solar project, called Ivanpah, will have an installed capacity of 392 MW, and BrightSource says it will increase the amount of solar thermal generation capacity in the U.S. by over 75 percent. 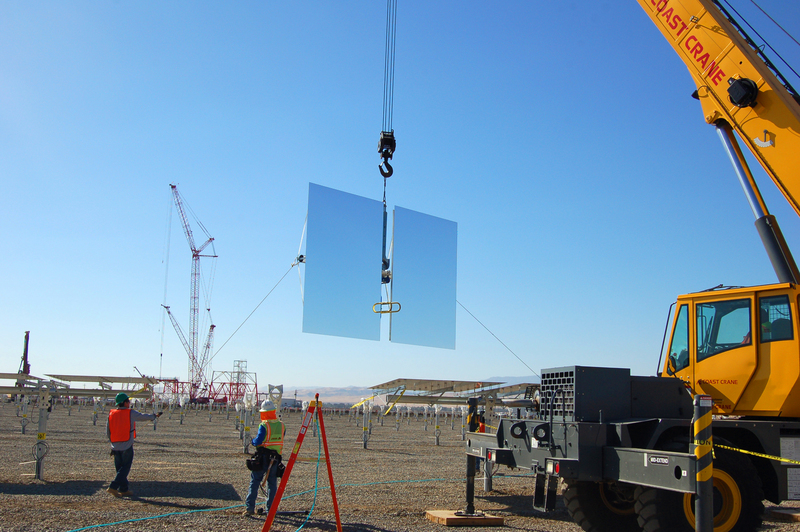 In April, BrightSource raised $2.2 billion in financing to build Ivanpah. In total equity, Ivanpah has $598 million of commitments, including $300 million from NRG Solar (s nrg), $168 million from Google (s goog) and $130 million from BrightSource. Two Lawsuits. There are two lawsuits challenging BrightSource’s permits for Ivanpah. The first says BrightSource didn’t comply with federal laws, including the National Environmental Policy Act (NEPA), Federal Land Policy Management Act (FLPMA), the National Historic Preservation Act and the Native American Graves Protection and Repatriation Act. The second lawsuit comes from the non-profit Western Watersheds Project, filed against the U.S. Department of Interior, and says the permitting of Ivanpah didn’t comply with requirements under NEPA, the Endangered Species Act, the FLPMA and the Administrative Procedure Act. Alstom as a Partner. BrightSource says it will bid on projects with Alstom internationally in markets like the Middle East, Northern Africa, South Africa and Southern Europe. And just last month, BrightSource unveiled in its S-1 that it and Alstom bid on a 110 MW solar project for Israel. Workforce. As of March, BrightSource employed 284 full-time employees and 23 part-time employees. Equity Ownership Before the Offering. Alstom owns 17.8 percent; Draper Fisher Jurvetson own 6.7 percent; VantagePoint Capital Partners owns 24.9 percent; Los Angeles Advisory Services owns 7.5 percent; Morgan Stanley (s ms) owns 10.5 percent.